‘Chopper politics’ seems to be at play in growing acrimony between the BJP and the ruling TMC in West Bengal. Kolkata: A ‘chopper politics’ seems to be at play in growing acrimony between the BJP and the ruling TMC in West Bengal in run-up to general elections with the BJP leaders alleging Chief Minister Mamata Banerjee of purposefully denying landing permission to helicopters of several saffron party leaders. Banerjee, however, has dismissed the charges and has put the blame on “eleventh hour” requests by the BJP leaders. She has also made a counter-allegation that helicopter companies were being forced to cancel bookings by her party for the Lok Sabha poll campaign. The BJP has alleged its president Amit Shah, Union Minister Smriti Irani, Uttar Pradesh Chief Minister Yogi Adityanath and former chief ministers of Madhya Pradesh and Jharkhand (Shivraj Singh Chouhan and Arjun Munda) are among those who have been denied permission to land their helicopters for addressing rallies in different locations in West Bengal. Some of them cancelled the scheduled rallies while others decided to travel by road to the venue of the public meetings. While, the BJP leaders decried the state administration’s action, Banerjee dismissed the charge and instead put the blame on them for seeking permission from respective district adminstration late. She has also alleged that pressure is being mounted on companies to cancel agreements to provide helicopters to her party and that the advance money paid for booking choppers has been returned already in two cases. The latest round of slugfest started when BJP president Shah was allegedly denied permission to land his helicopter at an airstrip in Malda district on January 22. His chopper ultimately had to land on private property owned by a resort from where he made to the public meeting at Narayanpur by road. Next was Irani, who cancelled her rally at Suri in Birbhum district on January 23 after her chopper was allegedly not allowed to land at Jhargram. Adityanath had to call off his rallies at Raiganj and Balurghat on Sunday last following alleged denial of permission for landing of his chopper. He addressed the meetings at two places over phone. His public rally in Bankura scheduled for Tuesday was cancelled over alleged “dilly-dallying” by the district administration to give permission for the landing of his helicopter. However, Adityanath made to the second public meeting at Purulia on Tuesday after travelling by road after flying to Bokaro in neighbouring state Jharkhand. Former Madhya Pradesh chief minister Chouhan also had to cancel his rally at Bahrampur in Murshidabad district due to alleged denial of permission for landing of his helicopter. He travelled by road for two and half hours to Kharagpur after alighting at Kolkata airport to address a “save democracy rally”. Former Jharkhand CM Munda was also apparently denied permission by Bishnupur administration in West Bengal Wednesday to hold a meeting. Munda was scheduled to address a rally of BJP workers in Bishnupur town in Bankura district of southern West Bengal, close to his home state of Jharkhand. He said he had to return to Jamshedpur, about 161 km from Bishnupur, without addressing the rally as the district administration “did not give permission to hold it”. “No reason was given (by the administration),” Munda told reporters after his return. But Bankura Superintendent of Police Koteswara Rao Nalavat said permission was not given for Munda’s meeting as adequate security was not available in view of TMC leader Abhishek Banerjee’s scheduled meeting at Onda, about 22km from Bankura town. While BJP leaders are fuming over the incidents, the TMC leaders have termed the charges baseless and asserted the permission may have been withheld by the respective district administration for various reasons, including security. 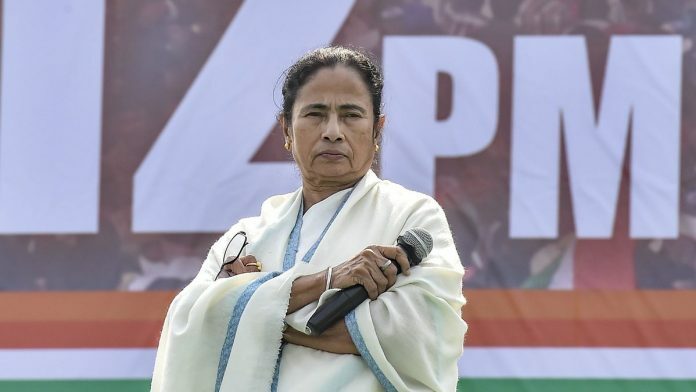 Addressing mediapersons after calling off her three-day dharna on Tuesday evening over the CBI’s bid to question Kolkata police commissioner Rajeev Kumar, Banerjee had dismissed the charges of denying BJP leaders permission to come to West Bengal for rallies. To drive home her point, she cited examples of Prime Minister Narendra Modi, Union Home minister Rajnath Singh and BJP president Amit Shah holding public meetings in the state without any hassles. Didi should have a large heart. Has NaMo led BJP too has a large heart ? the era of authoritarianism ! its heart that is clinging to power by hook or crook !